FIFA charged World Cup host Russia with fan racism on Tuesday, less than two months before the tournament begins. 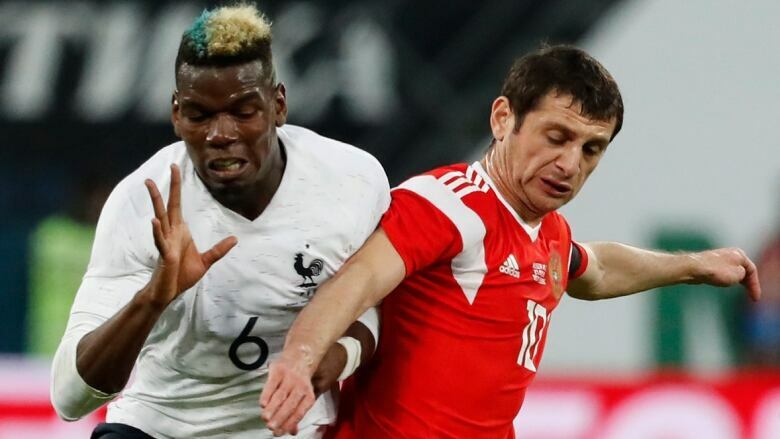 Monkey chants were aimed at black French players, including Paul Pogba, during France's 3-1 friendly win over Russia in St. Petersburg last month. FIFA charged World Cup host Russia with fan racism on Tuesday, less than two months before the tournament begins. "We'll do anything so there are no discrimination cases," he said. "But if that happens … there should be zero tolerance for these people."